The Holidays are our favorite time of year. 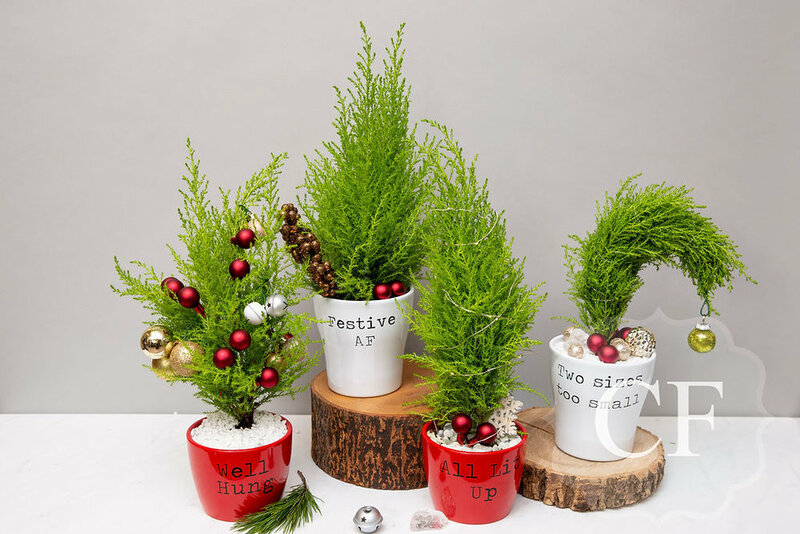 The smell of fresh greens, the romance of Christmas lights and the cheer our customers bring with them into the store truly fills us with warmth. We have some suggestions this year to make your shopping a little easier! First and foremost: FLOWERS! It’s pretty rare to come by someone who doesn’t love flowers. It’s a gesture that is both filled with holiday cheer and suits everyone. Why does it suit everyone? Because it’s temporary, not some decoration they must have up all year. Don’t forget: we deliver our flower and gifts to Waterloo, Kitchener and Cambridge! Just place your order and we will take care of the rest. If we have to pick a favorite this year it’s the Birch Merriment. Pictured below. Available in two sizes. For the guys on your list we suggest our Pinch Provisions Tech Kit $34. It includes: earbuds, a charging cable, cable ties, a screen cleaner and more. 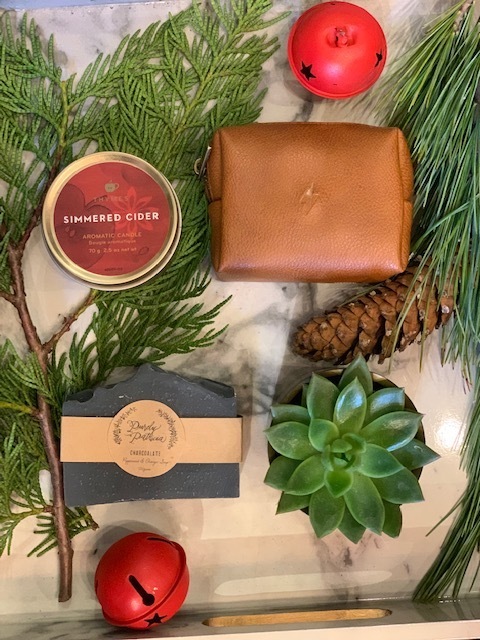 For stocking stuffers we suggest: Charcoal all natural soap $8 and our mini Simmered Cider Candle(popular with the fellows)$14. 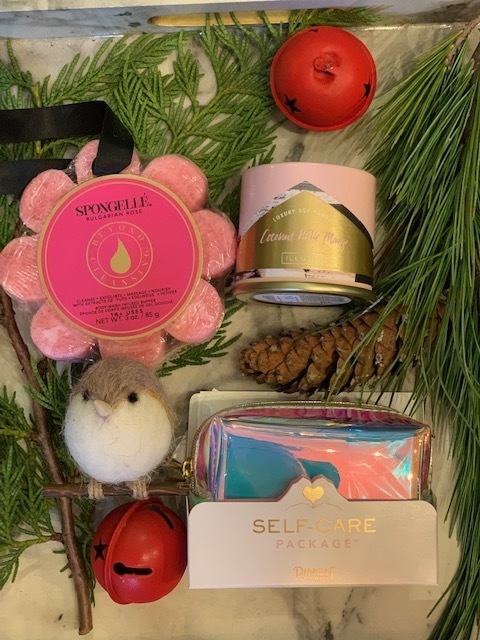 Stocking stuffers for her: Spongelle body wash infused sponges $19-$23, tin candle in Coconut Milk $14, Pinch Provisions Self Care Kit $34. 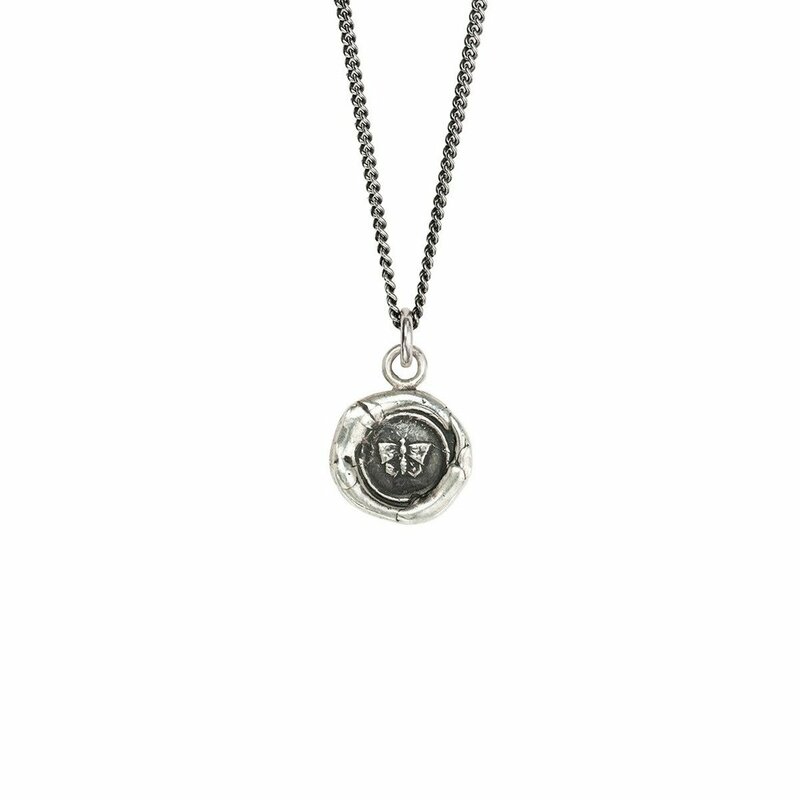 Butterfly: This talisman features a butterfly, a symbol of the soul, rebirth, transformation, and metamorphosis. 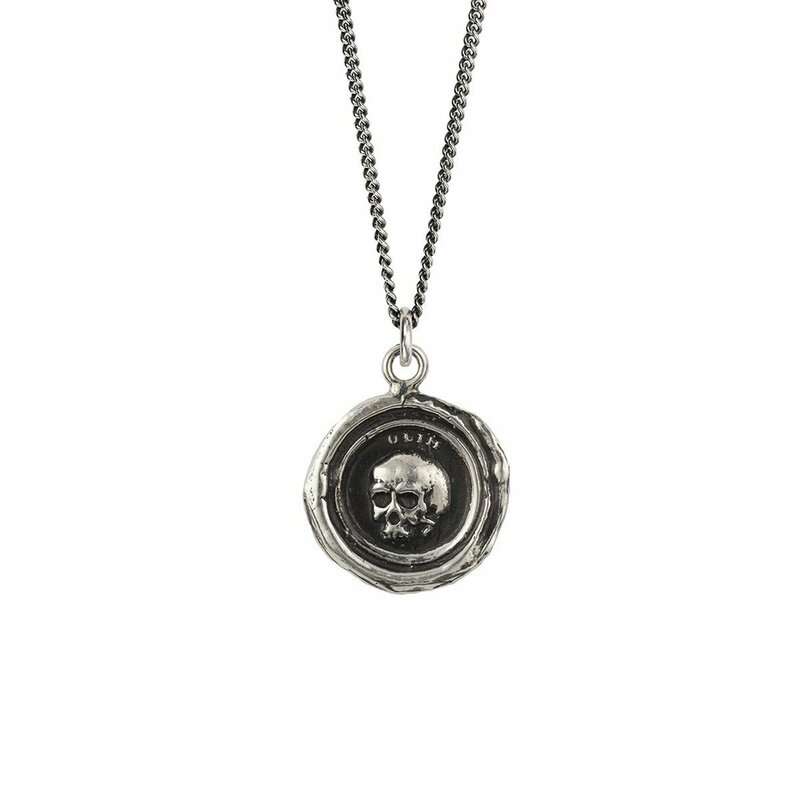 Skull:This talisman reads 'Olim' in Latin, which means 'Once'. The skull, a classic memento mori, is a reminder that life is fleeting. Some the other designs we have available. Let’s talk about our Gift Bundles! 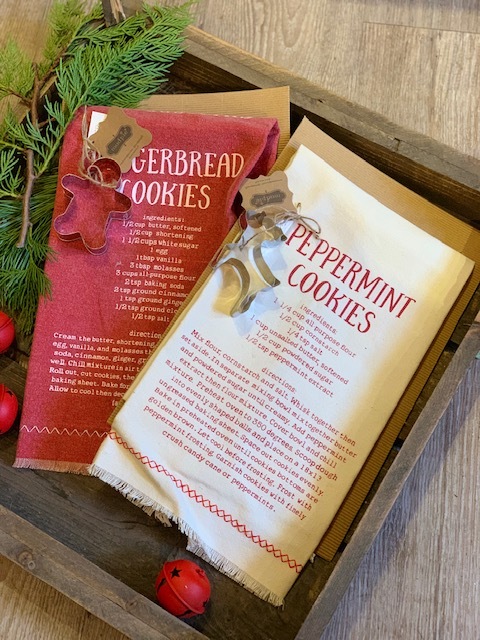 These work for everyone and are especially great if you are gifting to a household. 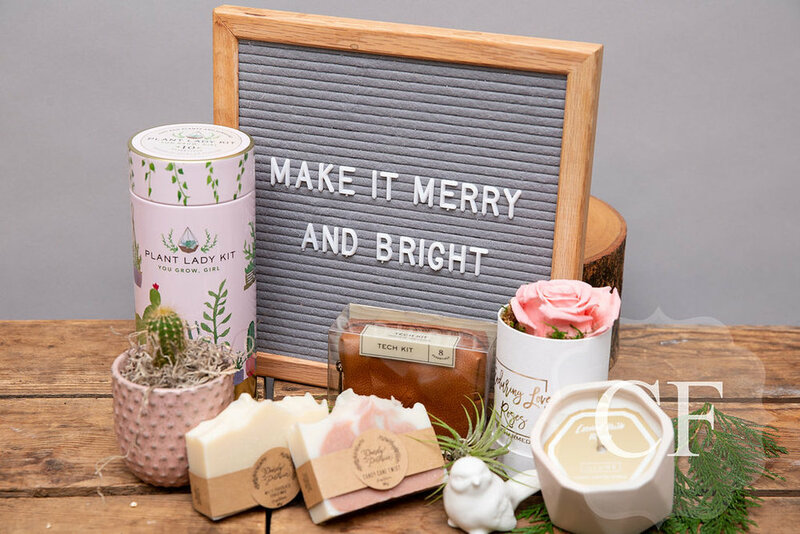 They have festive candles, soaps, treats, plants flowers and much more. 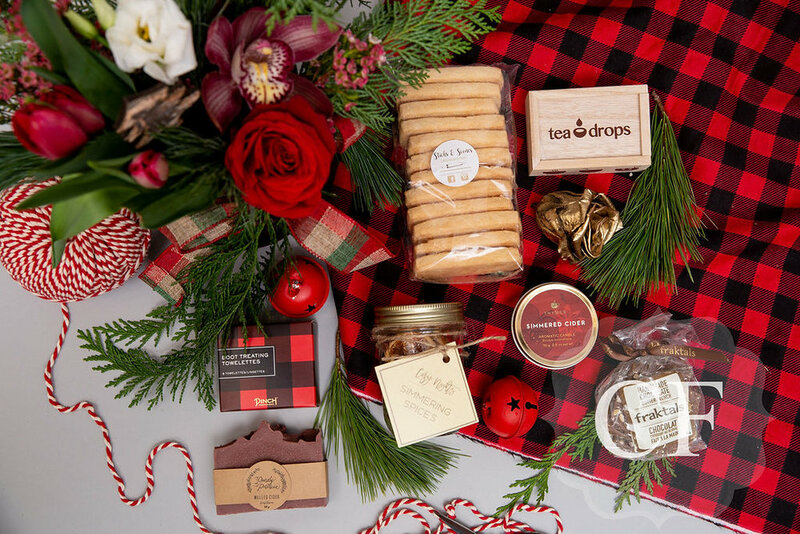 A guaranteed way to please even the picky person on your list!